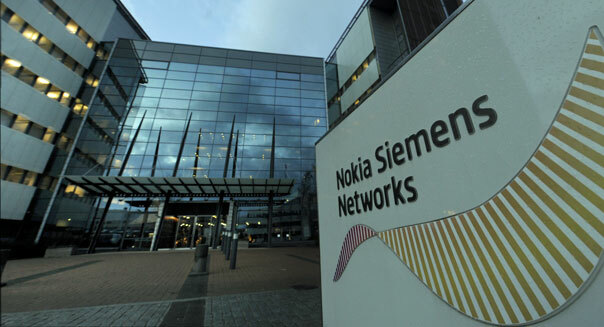 Nokia will buy out partner Siemens AG's (SI) entire 50 percent stake in Nokia Siemens Networks, or NSN, paying €1.7 billion ($2.2 billion), as the former mobile phone leader struggles to regain its place in an increasingly crowded and competitive market. The deal will allow the loss-making Finnish corporation to gain full control of NSN, which returned to profitability last year, after undertaking a series a cost-cutting measures, Bloomberg reported, including slashing 17,000 jobs, which accounted for almost a quarter of its global workforce, in November 2011. "With this transaction, Nokia buys itself a future, whatever happens in smartphones and feature phones," Pierre Ferragu, an analyst at Sanford C. Bernstein in London, told Bloomberg. "Nokia Siemens has a future in the network equipment world, with a streamlined operation and a No. 2 position in a now concentrated and stable market." Nokia (NOK) is taking over NSN when the joint venture's focus on fourth-generation Long Term Evolution, or LTE, networks has begun to pay off, according to Reuters, translating into €196 million in adjusted earnings before interest and taxes, in the first quarter of 2013. Microsoft's Abandons Bid for Nokia's Hardware Biz; Is Huawei Eyeing It?